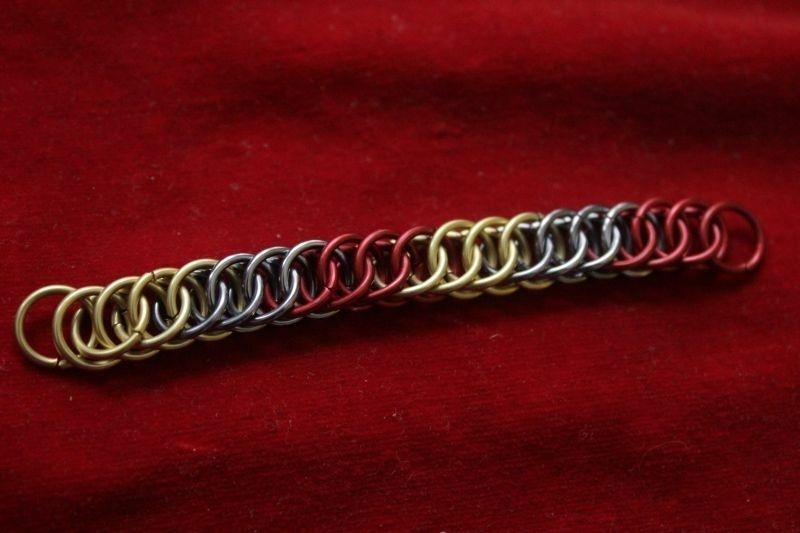 A necklace I made for a fellow who wanted something powerfully symbolic. 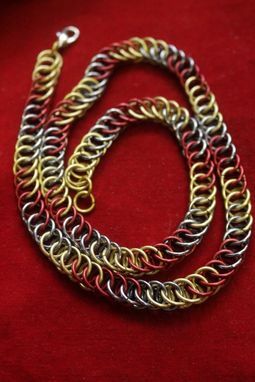 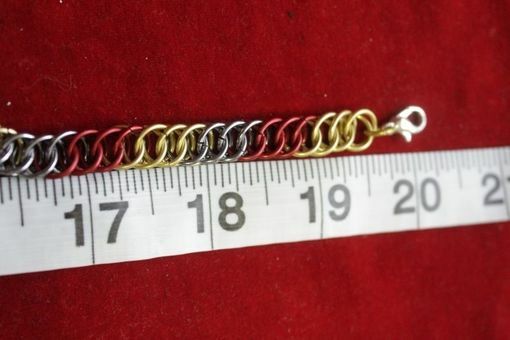 Made with red, gold and black ice anodized aluminum in a Half-Persian 4-in-1 chainmaille weave. 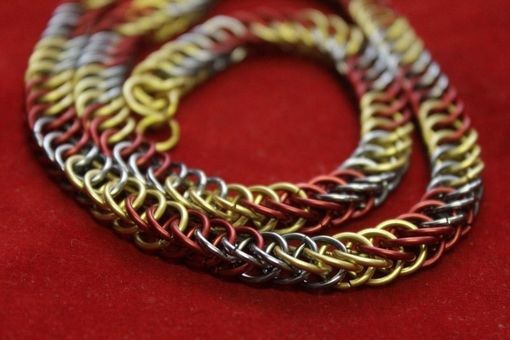 Yes the final necklace is just as awesome as I thought it was going to be and Cici was very nice to work with.